Fair. 0806645776 FAST SHIPPING! ! No CD Included. Access code may be previously used. Heavy wear, wrinkling, creasing or tears on cover and spine. Heavy writing and highlighting. Cover has used book stickers or residue. Marker on cover or bottom edge of book. Book may have additional damage or defects not listed above. New. Trade paperback (US). Glued binding. 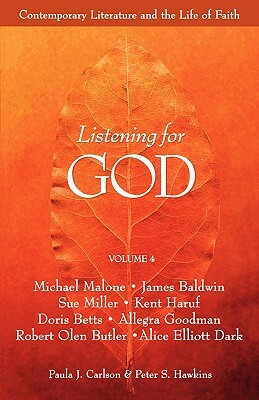 164 p. Listening for God (Paperback), 4.